This is the first post I’ve done using Open Live Writer (OLW). With the release 0.5.1.2 there is support for Blogger after Google updated their API to use OAuth 2 and thus breaking the functionality in the old Windows Live Writer and the initial release of OLW. The error was: Blogger returned the following error: NotFound: Not Found. A known issue with this release is that labels/categories can’t be set when posting to Blogger. For some background on how Microsoft’s WLW became Open Source OLW see the Announcing Open Live Writer - An Open Source Fork of Windows Live Writer post by Hanselman. JTB World’s Text Bubble app for AutoCAD has been updated to version 2.6 and is now also available as a trial. With our Text Bubble app you can easily create and renumber text bubbles in AutoCAD as well as convert existing text into text bubbles. See also our JTB Text Bubble Plus app with more functionalities. If you want to save all your layouts to separate drawings our free LayoutsToDwgs.lsp can do the trick. It has just been updated to both solve an issue related to a dialog box showing “Include AutoCAD Map information in the export?” as well as to work fine with the most recent versions of AutoCAD. Direct download of this AutoLISP app is here. SSMPropEditor 6.0 is now available. This Sheet Set Manager Editor can save hours of work if your company uses AutoCAD’s Sheet Set Manager. Use Find and Replace of text among all properties and all sheets or change properties on multiple sheets at the same time. If you want to make changes in Excel, that can be done too. Copy custom properties that are defined in one Sheet Set into another Sheet Set. All you need to speed up your work with the Sheet Set Manager. 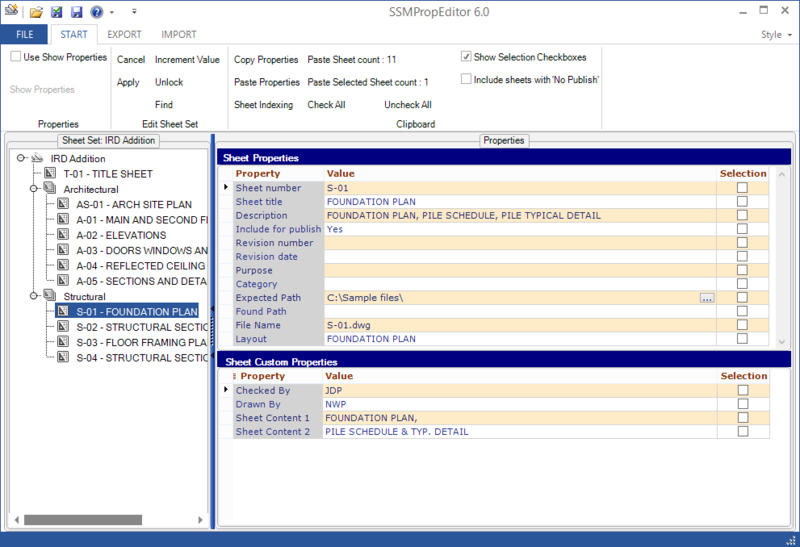 The installer for SSMPropEditor as an app within AutoCAD will be available later this month. Download is available here and works in trial mode for 30 days. Existing customers can upgrade for free. More from JTB World: Create new Sheet Sets including drawings based on an Excel template with out JTB Sheet Set Creator.